Jonathan Morales does not have any MLB stats for the season. Draft: 2015, Atlanta Braves, 25th rd. 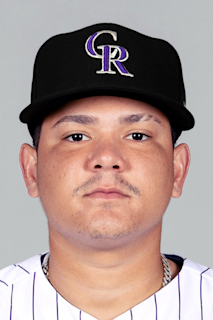 January 28, 2019 Atlanta Braves invited non-roster C Jonathan Morales to spring training. August 4, 2018 C Jonathan Morales assigned to Mississippi Braves from Gwinnett Stripers. July 13, 2018 Gwinnett Stripers activated C Jonathan Morales from the 7-day disabled list. June 30, 2018 Gwinnett Stripers sent C Jonathan Morales on a rehab assignment to GCL Braves. May 26, 2018 Gwinnett Stripers placed C Jonathan Morales on the 7-day disabled list. May 19, 2018 C Jonathan Morales assigned to Gwinnett Stripers from Mississippi Braves. February 24, 2018 C Jonathan Morales assigned to Atlanta Braves. January 29, 2018 C Jonathan Morales assigned to Puerto Rico. January 4, 2018 C Jonathan Morales assigned to Criollos de Caguas. November 6, 2017 C Jonathan Morales assigned to Leones del Escogido. June 19, 2017 C Jonathan Morales assigned to Mississippi Braves from Florida Fire Frogs. April 4, 2017 C Jonathan Morales assigned to Florida Fire Frogs from Rome Braves. March 4, 2017 C Jonathan Morales assigned to Atlanta Braves. January 27, 2017 C Jonathan Morales assigned to Puerto Rico. April 4, 2016 C Jonathan Morales assigned to Rome Braves from GCL Braves. November 6, 2015 C Jonathan Morales assigned to Criollos de Caguas. November 6, 2015 C Jonathan Morales assigned to Indios de Mayaguez. November 6, 2015 Criollos de Caguas placed C Jonathan Morales on the reserve list. November 6, 2015 Criollos de Caguas activated C Jonathan Morales. June 22, 2015 C Jonathan Morales assigned to GCL Braves. June 12, 2015 Atlanta Braves signed C Jonathan Morales.